This is a summary of a research paper describing experiments conducted to study bacterial survival at extremely high pressure. 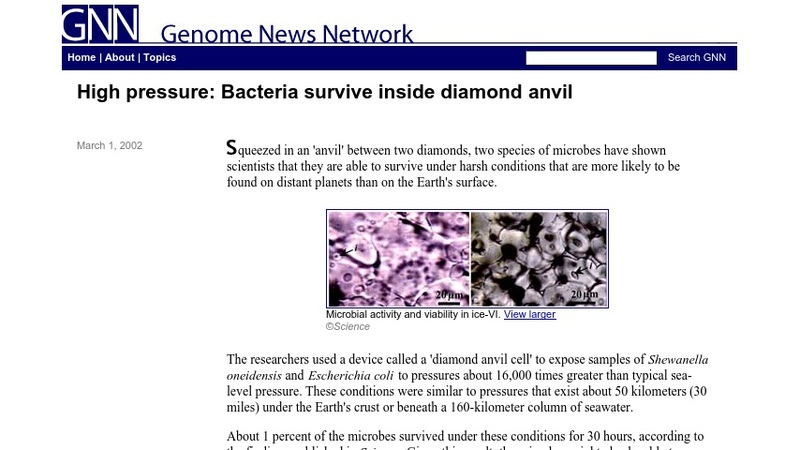 This web article published by the Genome News Network is a review of the original publication found in Science magazine. A link to the original publication is found at the end of the article.